The Dewan-Tatum family seems to be getting the hang of co-parenting with new partners. 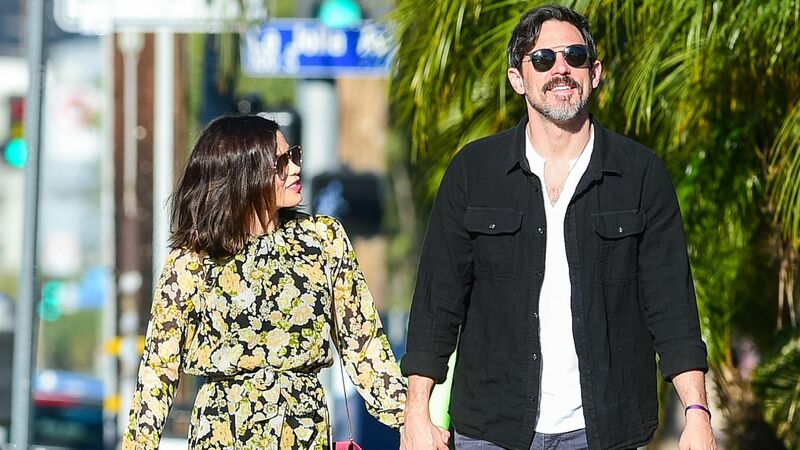 According to a source who spoke to People, Jenna Dewan’s daughter Everly is bonding with Steve Kazee, Dewan’s boyfriend since at least October. This is a big deal, since Dewan and her estranged husband Channing Tatum announced their split just one year ago. According to People, since the outlet confirmed Dewan’s and Kazee’s relationship in October, he has since spent Dewan’s December birthday and Valentine’s Day with her. He’s also, of course, met 5-year-old Everly, whom Dewan coparents with Tatum. Dewan and Kazee were spotted going for a walk with Everly on Saturday, with Kazee even carrying Everly’s backpack for her, which is so adorable. In March, People also reported that Tatum and his new girlfriend, British singer Jessie J, have been spending time with Everly as well. From the looks of things, as these relationships get more serious, both Dewan and Tatum are taking time to include their daughter in their outings with their new significant others, which is great. Aside from tweeting her support for Jessie J after the singer indirectly commented on comparisons made between the two last fall, Dewan hasn’t said much about Tatum’s new girlfriend, nor has she publicly spoken about Kazee. However, from photos and comments made by sources close to the situation, it seems like everyone involved is doing just fine.